Description and Similar Species: Wingspan 30-32mm. Sexes similar. 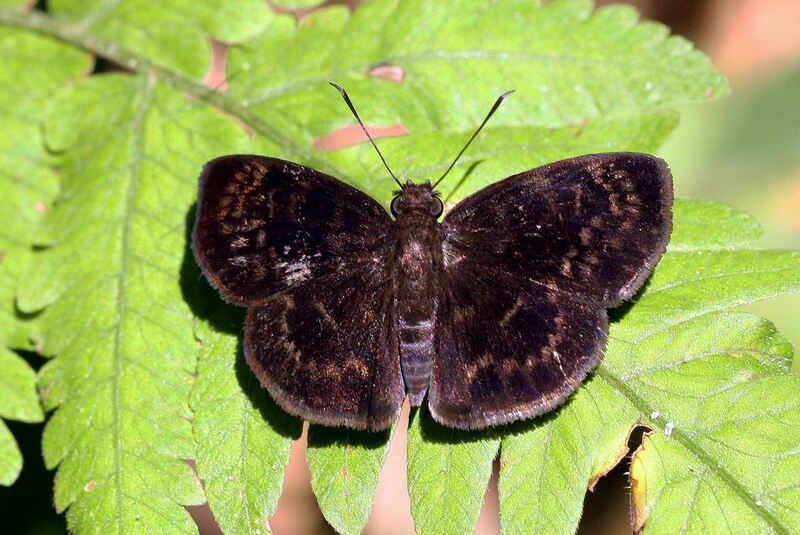 One of several superficially similar "duskywing" skippers but the dark background colour combined with two rows of pale dots across the forewing and one row across the hindwing is diagnostic. Range: Mexico south to Argentina and in the West Indies it has been recorded on Cuba, Jamaica, Hispaniola and also from Trinidad. Status: At best it is a very rare straggler to Cuba. Alayo & Hernández (1987) mention that Brown (1978) referred to it as having occurred in Cuba, perhaps a migrant from Mexico, but no further details are given.